For many people gardening is a passion. In all honesty, for others it may occasionally be a chore. So here are my suggestions to make life easier for yourself. If there is a particular plant or group of plants that you love, plant those and tending to them will be a joy not a job. For me it is roses. I have found the easiest to grow in my garden are Gertrude Jekyll and Pride and Prejudice. My favourite climbing rose at present is Simple Life, with single ﬂowers that insects love. I’m also looking forward to trying our exclusive new rose this year, Love Songs. 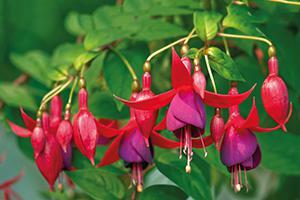 Perennials or cottage garden plants are another passion. 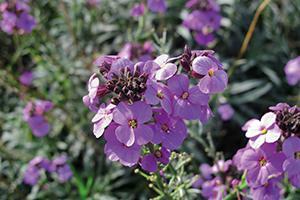 Start the season with the ever reliable Erysimum Bowles’s Mauve (perennial wallﬂower). Follow on with the hardy Geraniums. The stars of the border in May and June are Lupins, Penstemons and Delphiniums. Round off the season with Japanese Anemones, Dahlias and Chrysanthemums. Perennials are tough and many ﬂower again if they are deadheaded. Just keep the slugs at bay and divide when they outgrow their allotted space. has become grossly underestimated. 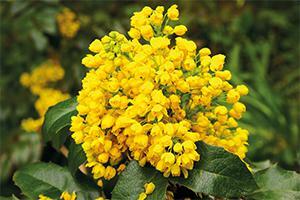 Many shrubs need very little care once they are established. Here are a few thoughts for all seasons. 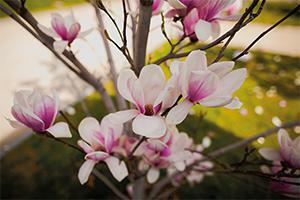 Spring – Camellias and Magnolia give wonderful spring colour. Azaleas and Rhododendrons come in such variety and need very little attention provided your soil is on the acidic side. Plant smaller subjects in a pot in ericaceous compost. Just make sure you read the label and buy something the right size for the space you have in mind. Summer – Hydrangeas and hardy Fuchsias bloom on and on in late summer and my ornamental sage ‘Hot Lips’ often ﬂowers into October. Autumn – Acers make a wonderful splash of autumn colour and the Contorted Hazel (Corylus avellane ‘Contorta’), is one of my all-time favourites. I just love its twisty stems. bottom and mix. Next place your plant in, back ﬁ ll with soil and water in well. Keep the plant well-watered until it is established. ﬁll with perennials or bedding plants.